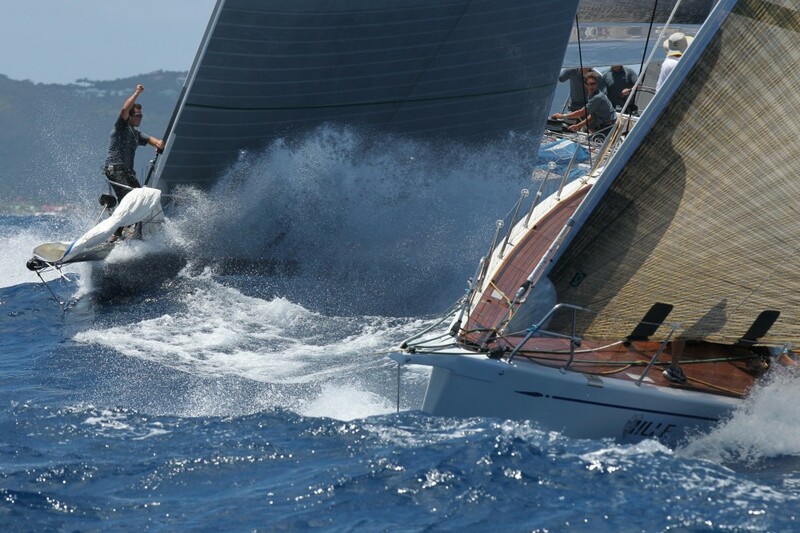 From 14th to 19th April 2014, St. Barth will be host to the fifth edition of the Voiles de Saint-Barth. More than seventy boats and 1000 sailors are expected to attend the event, which in just four editions has become a must for those who enjoy racing in the Caribbean. Owners, sailors and partners have got it right. The historic partners will in fact be joined this year by Veuve Clicquot, the world famous champagne house. Once again, this year we can look forward to a fantastic line-up in St. Barth. Five months before the starting gun is fired, forty boats have already registered in the five classes that are available: Maxi yachts, Spinnaker class, Non Spinnaker class, IRC 52s and Multihulls. “This is clear progress, as usually at this time of year, we have only had around thirty boats registered. So I think it is quite reasonable to look forward to seeing more than seventy boats lining up this time,” declared François Tolède, the organizer of the Voiles de Saint-Barth alongside Luc Poupon. 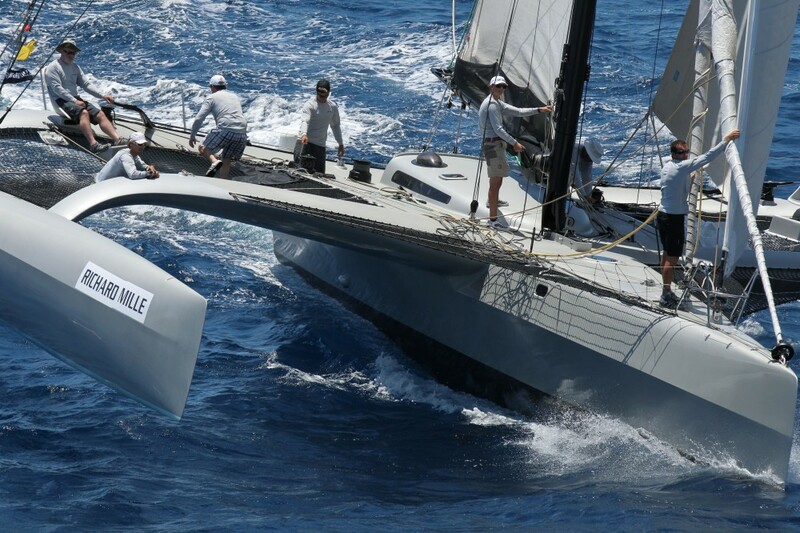 High performance sailing out on the water and a friendly atmosphere ashore, and all within the magnificent setting of St. Barth. The concept attracts the world’s finest yachts, includingRambler, George David’s famous Maxi-Yacht, already confirmed to be returning to the event. Once again this year, we will be able to admire the elegance and speed of this Reichel-Pugh designed 90-foot boat. Selene, Wendy Schmidt’s Swan 80 will also be attending, as will Ocean Phoenix, the Spanish Humphreys 77 skippered by Juan Luis Serra Lalaurie. Staying with the Maxi yachts, for the first time we shall be able to enjoy the sight of Bella Mente, Hap Fauth’s mini-maxi (designed by Judel/Vrolijk) with her crew of 26, including Mike Sanderson and Dee Smith, the Volvo Ocean Race and America’s Cup heroes. One of their major rivals will be Caol Ila R, Alex Schaerer’s Mills designed 68-foot boat, a stand out performer last summer, when she won the Rolex Capri Sailing Week Volcano Race, achieving line honours and first place under corrected time ahead of thirteen other maxis. Among the many interesting features of the racing in St. Barth is that we are looking at an island. In other words, it is always possible to come up with a race course, where the sailors will be more or less exposed to the trade winds. On top of that, the many smaller islands offer ideal race marks to Luc Poupon (the Race Director) and his team, who make the most of this to ensure the most enjoyable racing possible for those competing and watching the event. This explains why crews from around the world compete with 70% of them coming from English-speaking countries. 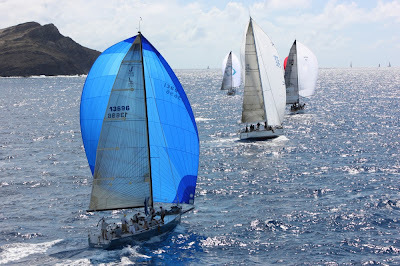 Many nationalities can be found aboard the boats and on the pontoons in Gustavia: Americans, Australians, the British, Spanish, New Zealanders, Italians, Belgians, Swiss, the French and of course, race enthusiasts from around the Caribbean. We should add that this fifth edition of the Voiles de Saint-Barth will be welcoming a fine group of TP52s, sailing here in the IRC 52 category. 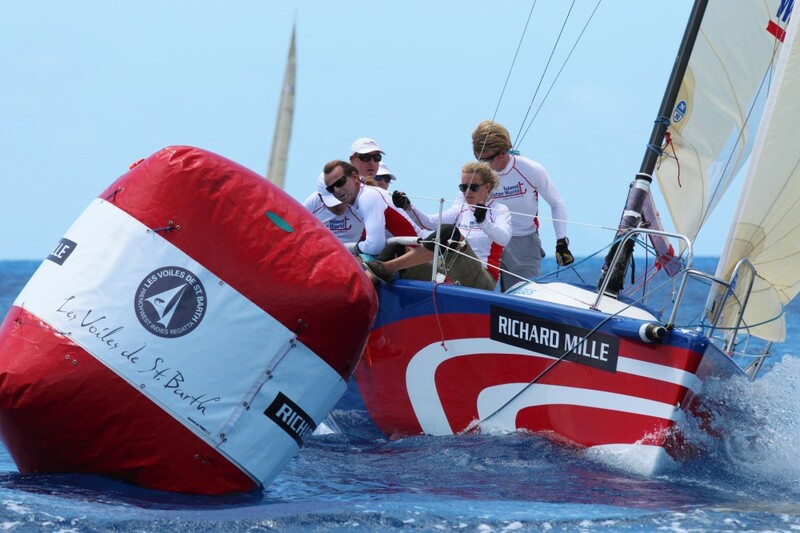 On board there will be top professionals from the America’s Cup and the world’s leading crewed races. Franck Noël’s Near Miss will be one of the overall favourites in this highly spectacular series, where the boats are pushed to their impressive performance limits. There’s going to be some fantastic racing, just as in the three other Voiles classes: Spinnaker, Non Spinnaker and Multihulls. 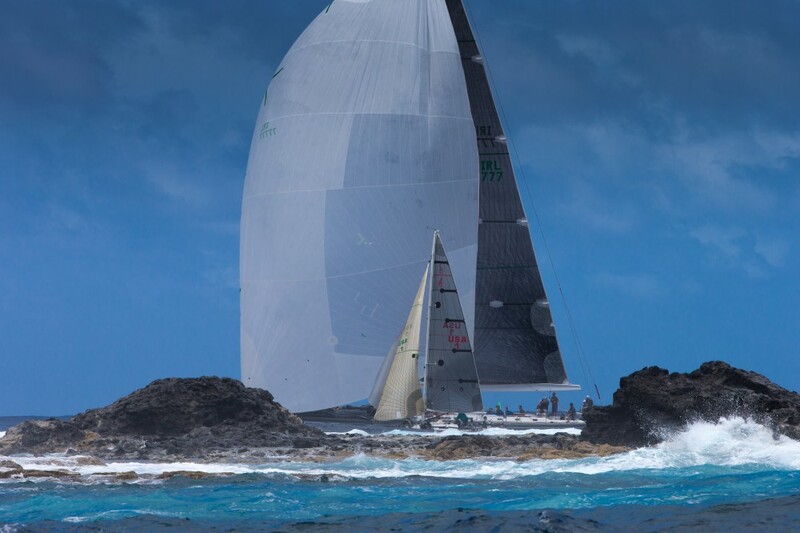 A dazzling display of elegance, at sea and ashore, a subtle mixture bringing together competitive racing and a friendly atmosphere all perfectly organized and there you have what explains the ever-growing popularity of the Voiles de Saint-Barth and the loyalty shown by its partners. Richard Mille, Gaastra, La Banque des Antilles Françaises, the St.Barth local authority will be joined this year by the major champagne house, Veuve Clicquot, part of the LVMH Group. A sign of confidence and an additional indicator showing how everyone know recognizes the Voiles de Saint-Barth.